The swimming pool at Millard North High School was constructed in 1980 was showing signs of age and physical obsolescence. In order for the school to continue its long history of aquatic programming, the facility would require a reinvestment to keep current with industry programming and operational requirements. 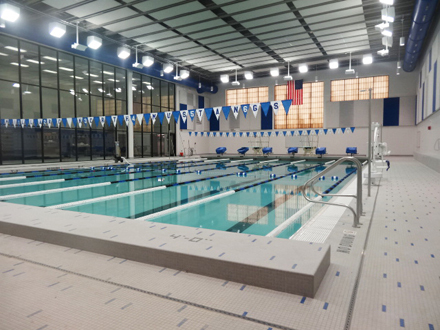 In October 2013, Counsilman-Hunsaker performed an assessment of the existing conditions of the pool related to compliance with current health codes and industry standards. An examination of the overall condition of the pool and supporting systems included recirculation, filtration, and sanitation systems. 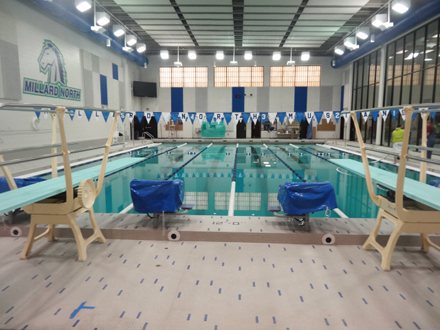 The final report detailed the existing condition of the pool and its equipment, including life expectancies, and recommended short-term and long-term repairs or replacements, including cost estimates. It was recommended from a longevity and value standpoint that total replacement be strongly considered. 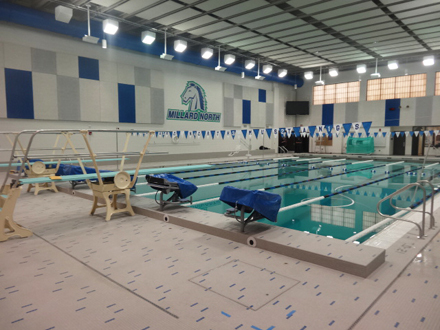 The school district chose to replace the existing pool with a new six lane 25-yard competition pool to benefit the Mustangs’ Swim and Dive Teams, family swim instruction, and ongoing community recreation use.